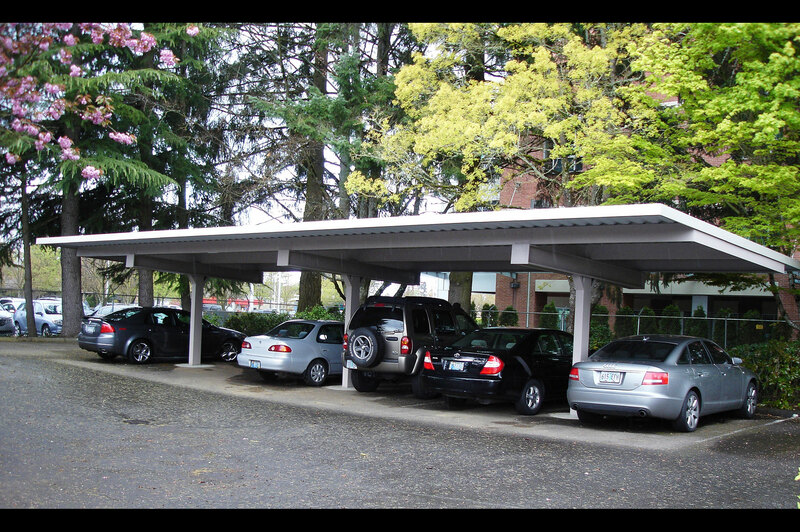 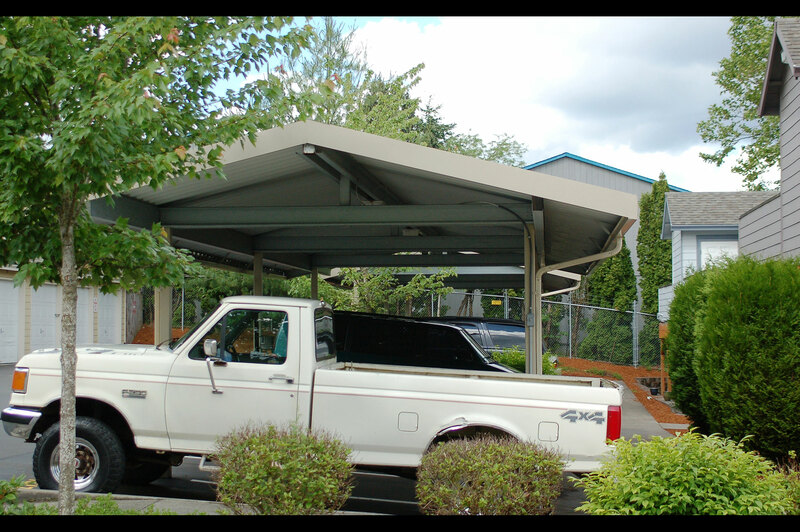 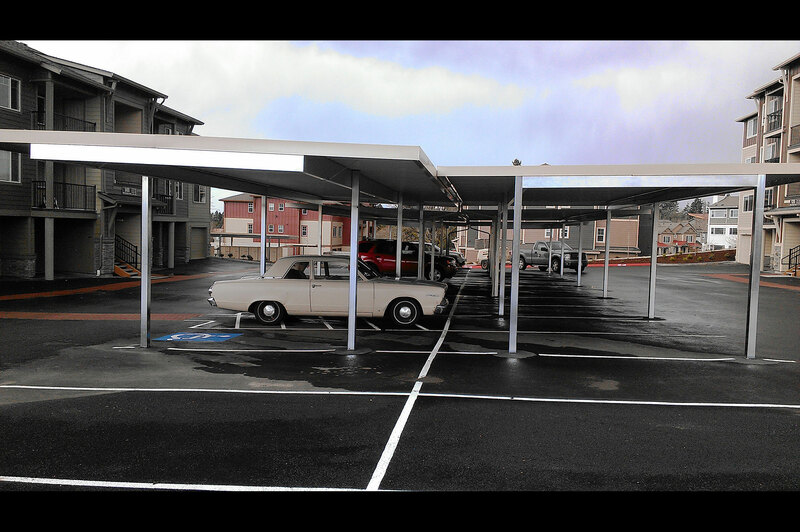 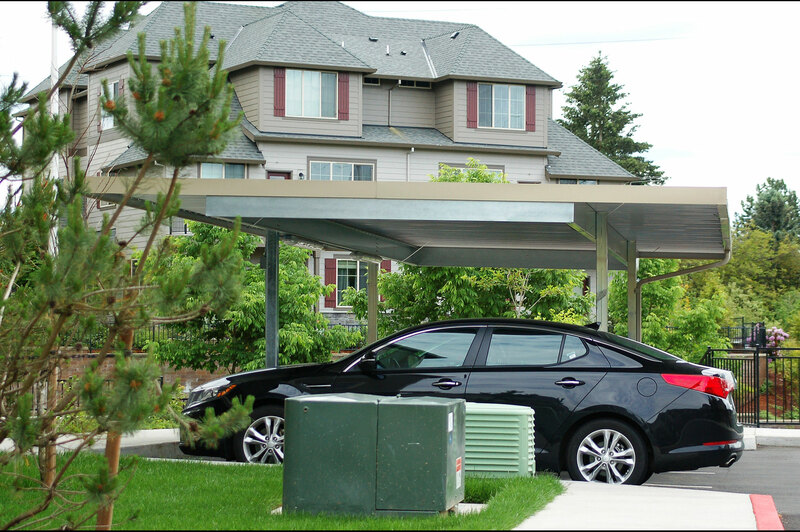 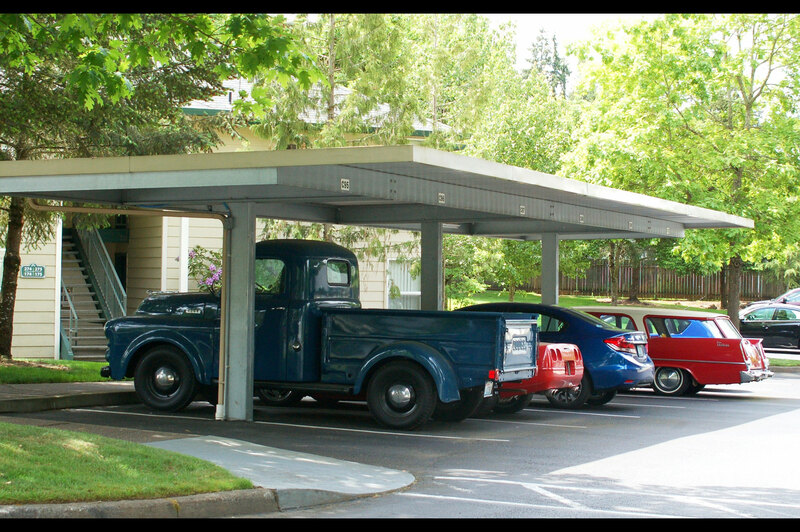 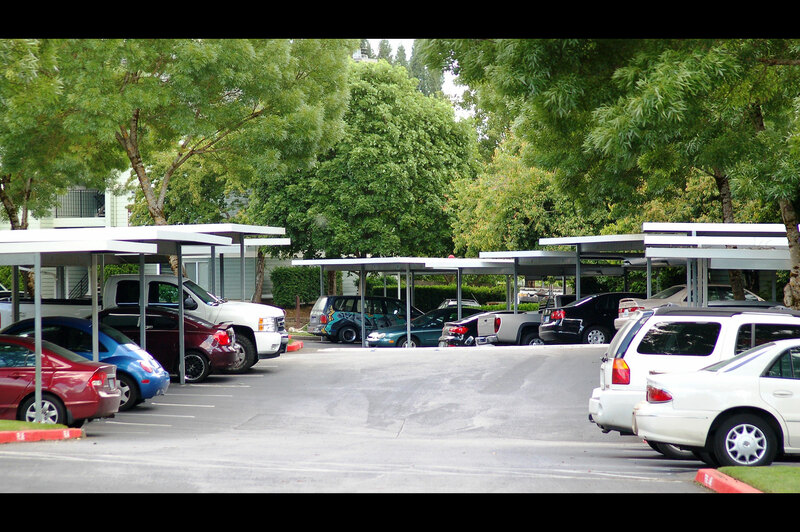 When it comes to carports, no one is better than Steelport. 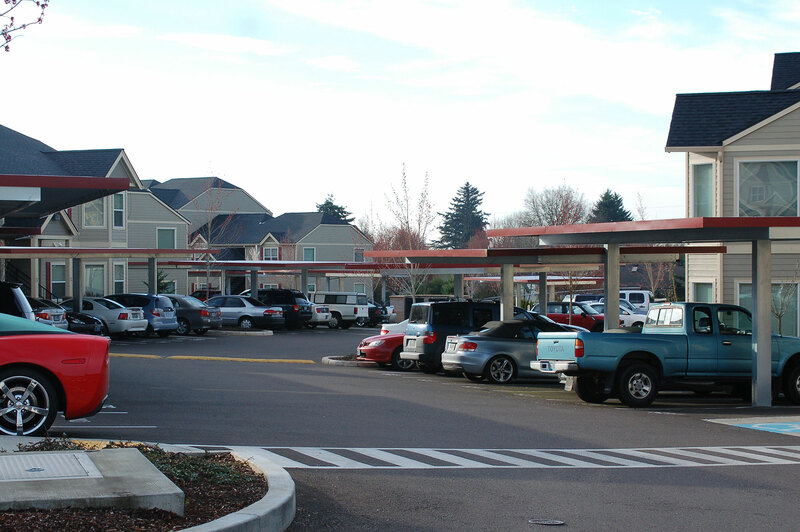 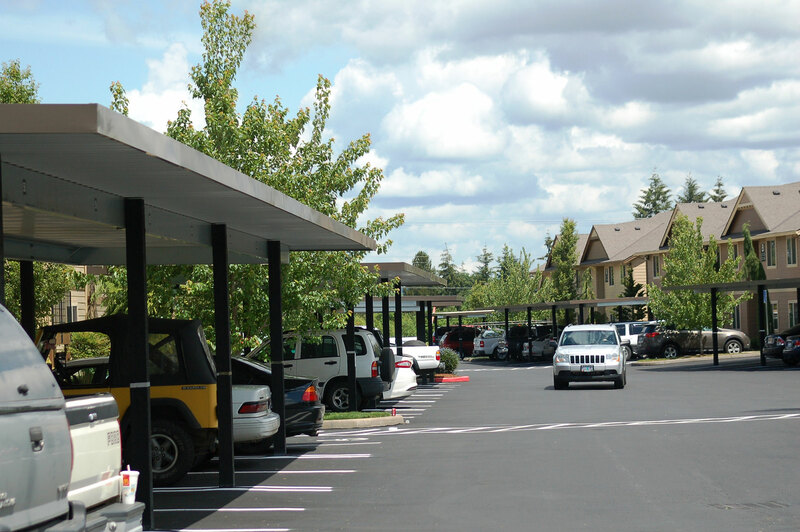 We have built thousands of units all over the northwest for both commercial and residential properties. 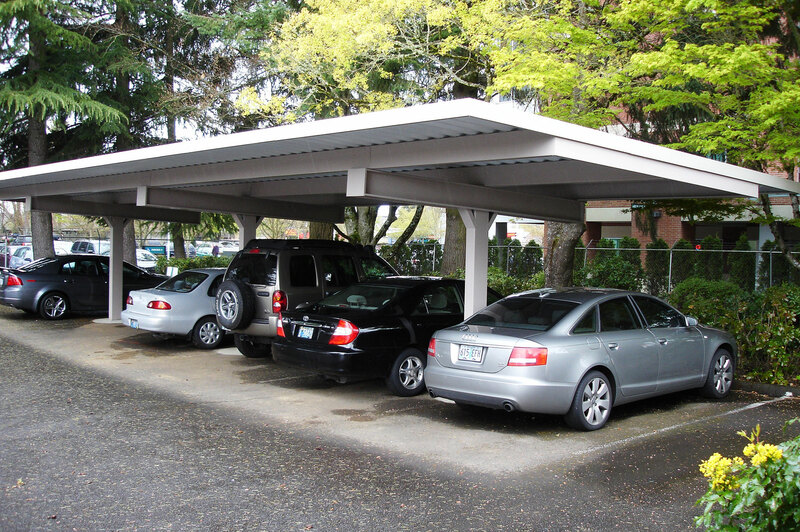 Our carports are constructed of quality steel products and come standard with concrete footings, galvanized steel posts, galvanized beams, Zincalume® roof deck, and 6" facia (available in 24 colors). 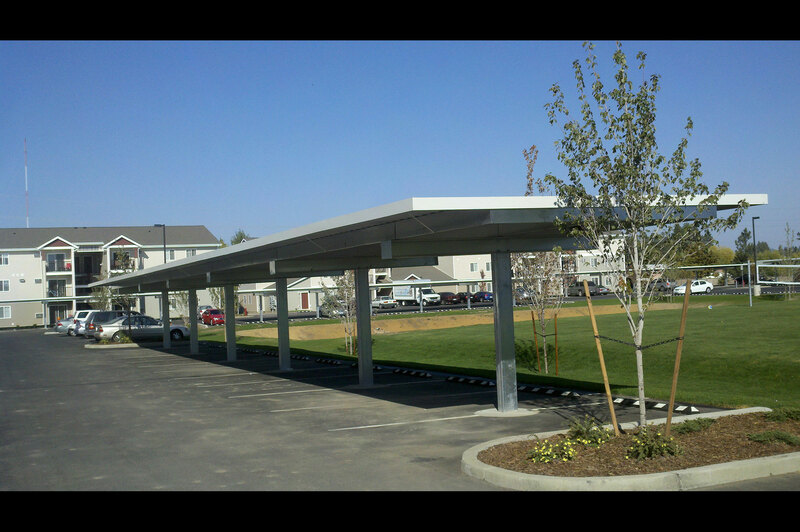 We offer double and single post designs with your choice of flat or gable roof styles. 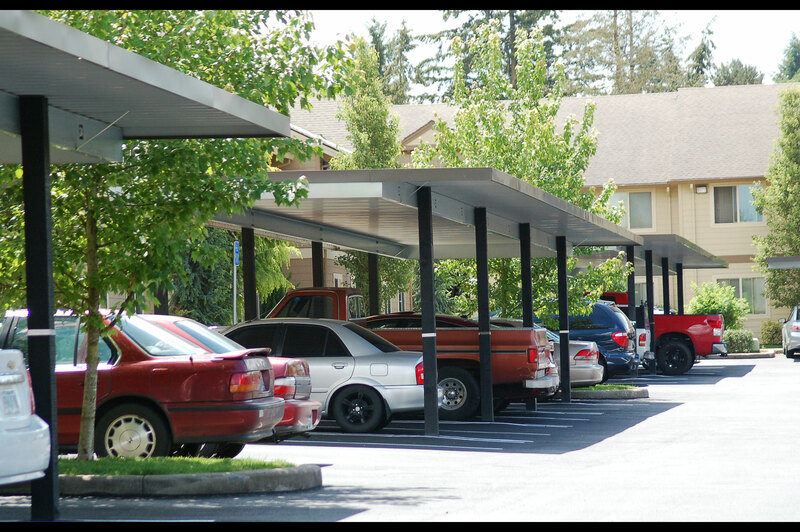 And we can custom build to any lot or site; we can cover any number of adjoining spaces and can match your existing color scheme. 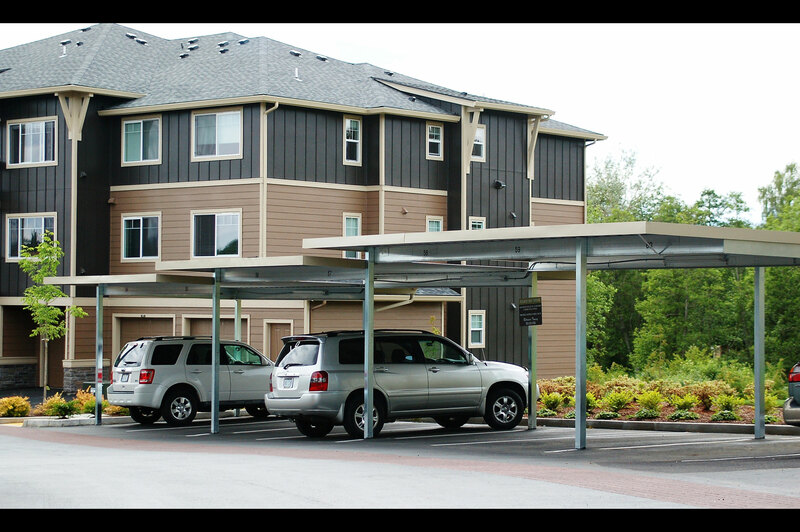 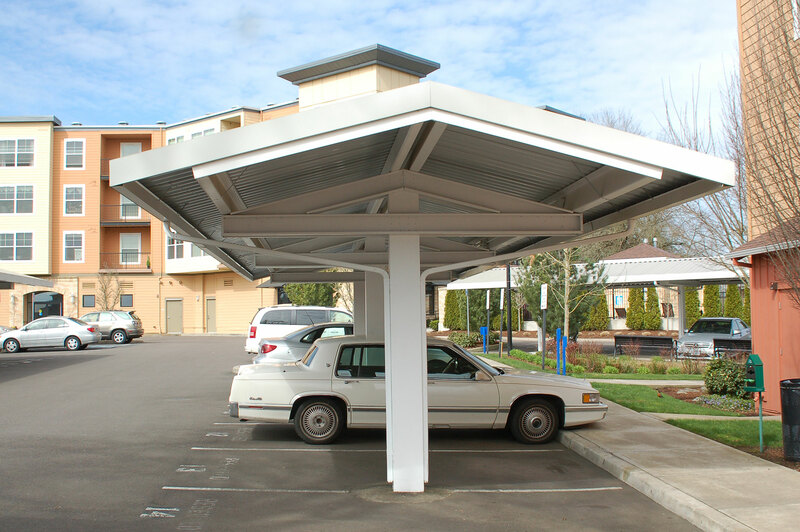 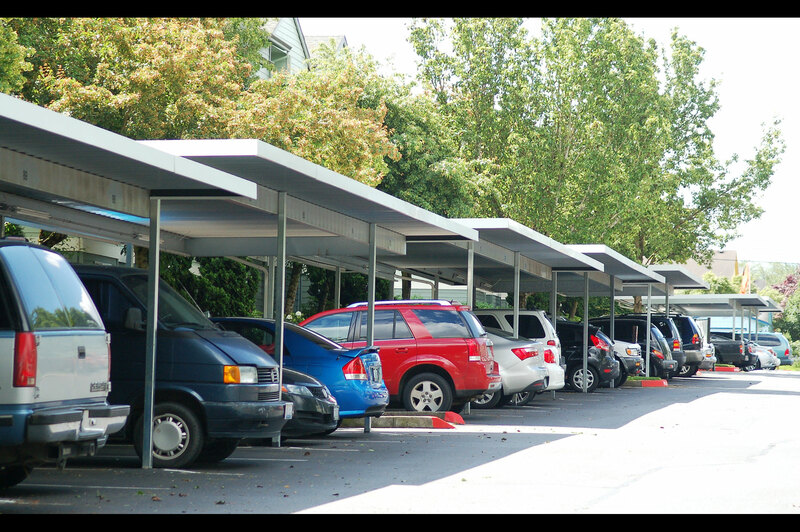 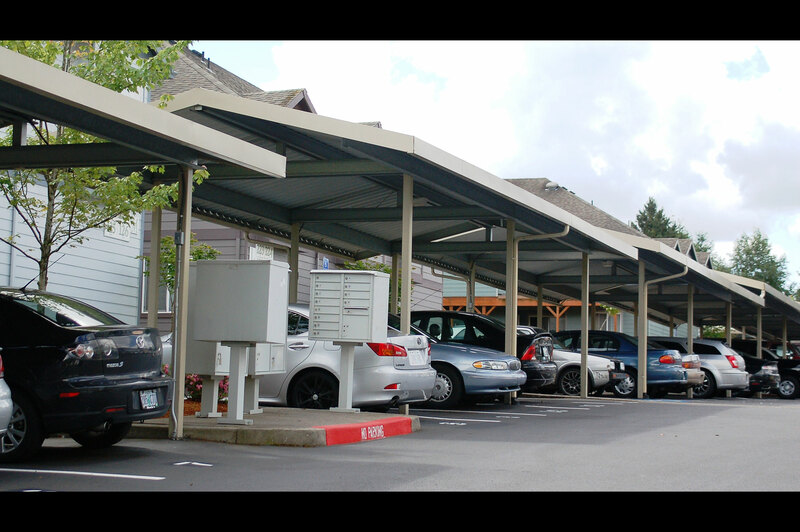 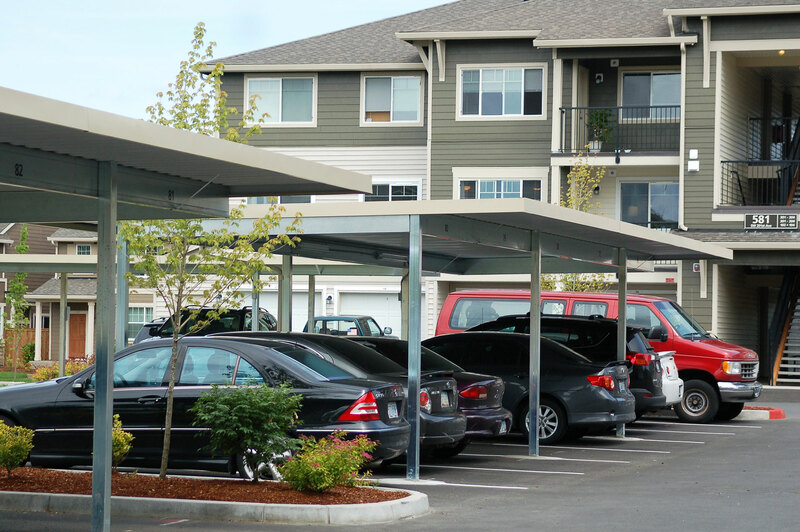 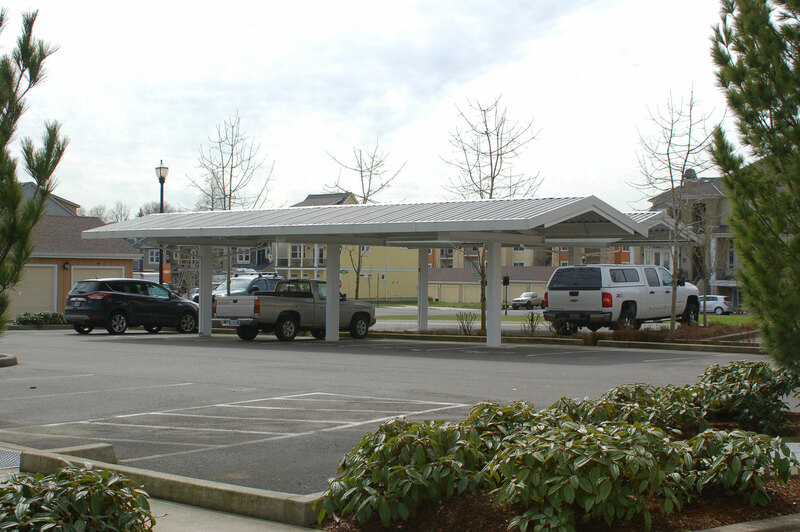 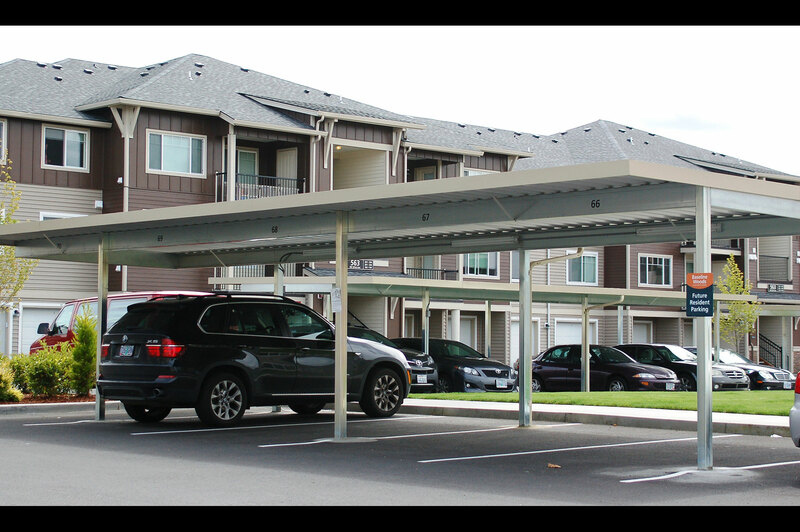 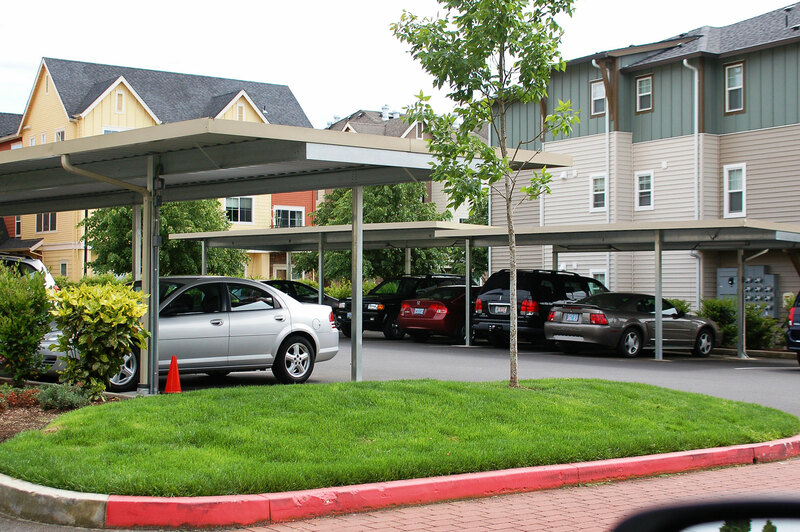 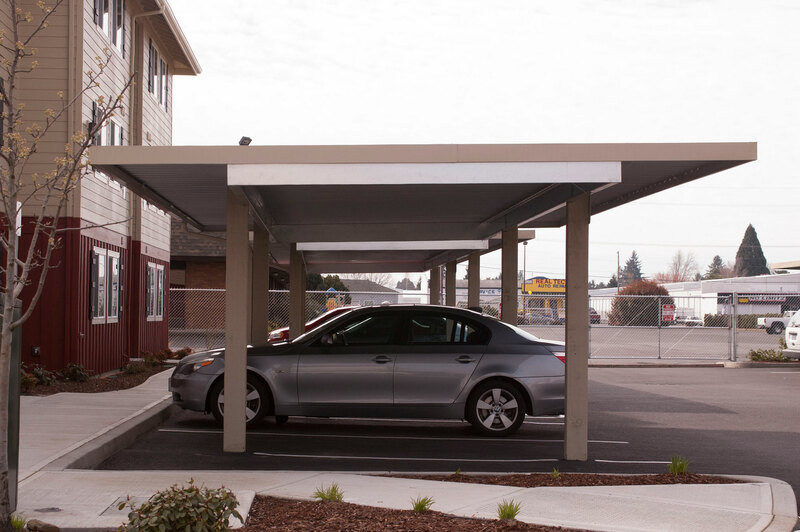 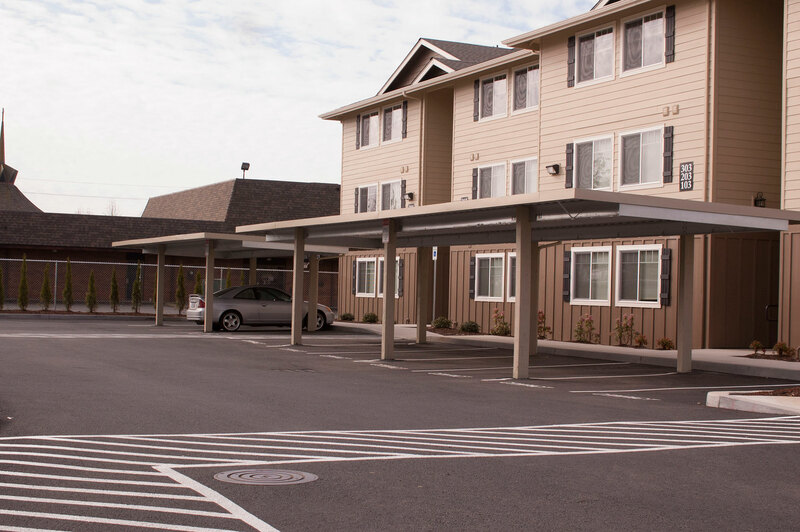 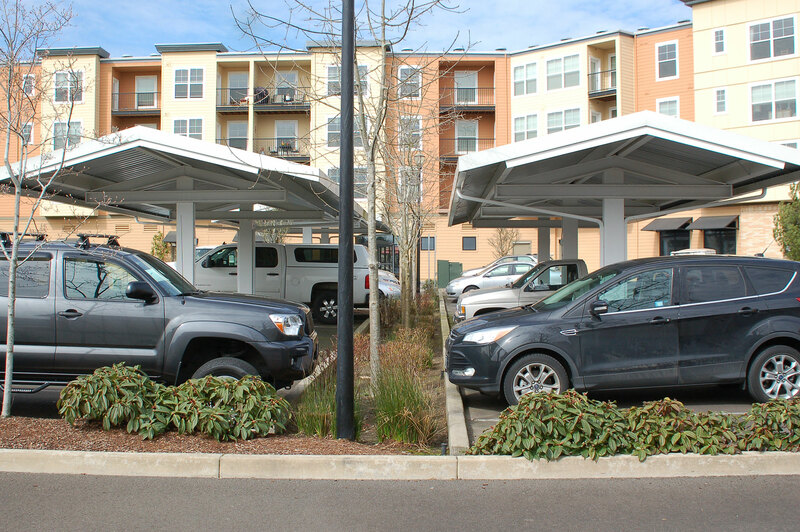 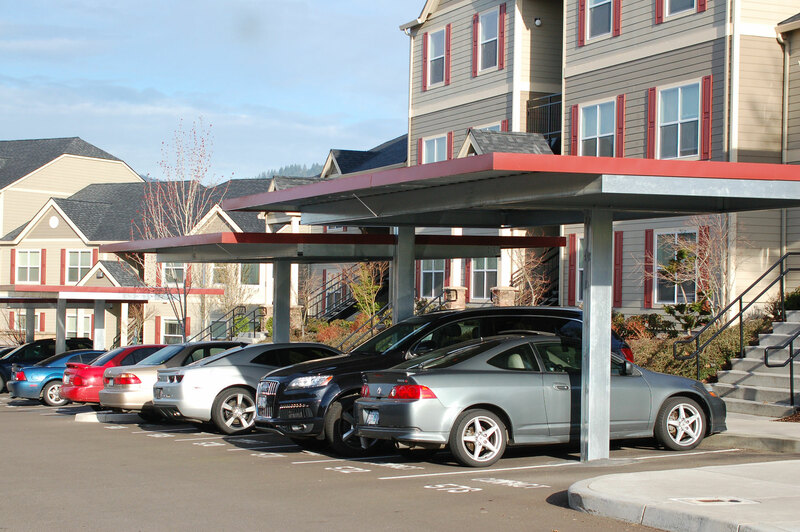 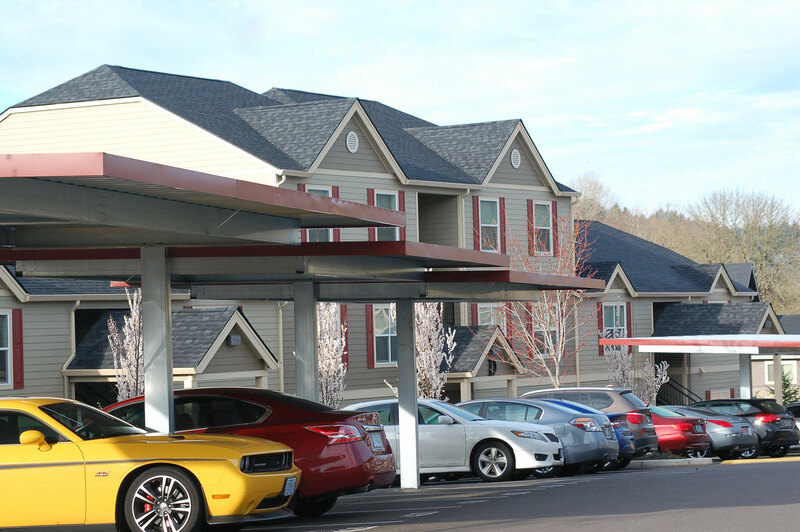 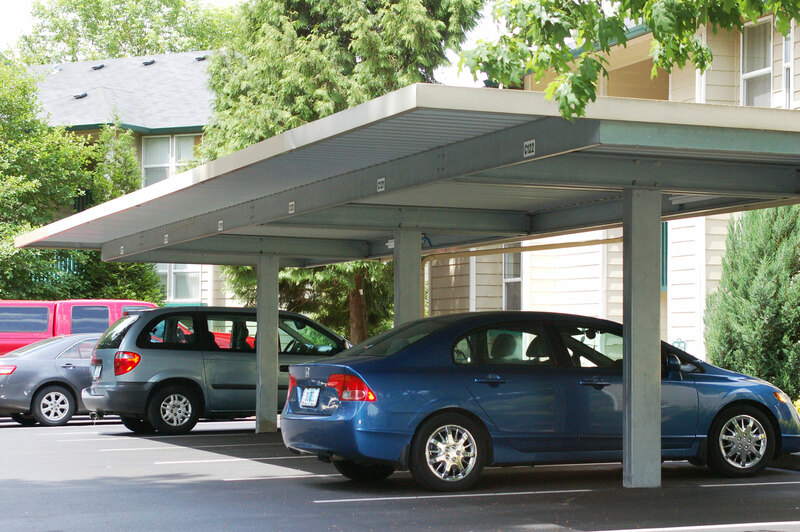 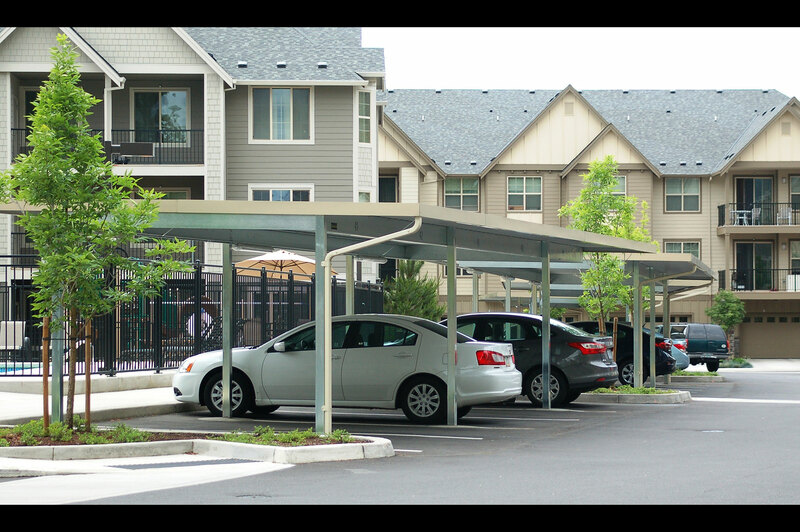 For apartment complexes, carports provide a marketing edge and can be an additional source of income, often recouping their cost in just a few short years. 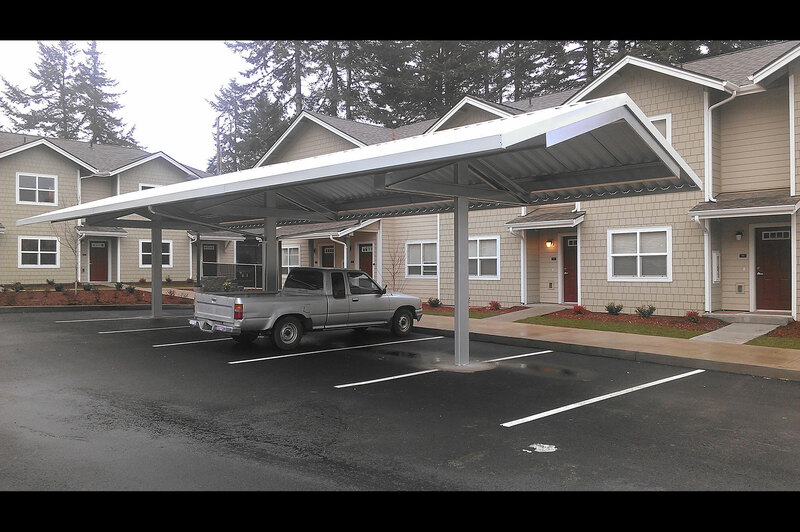 Contact us for a free estimate and learn how we can increase your bottom line.